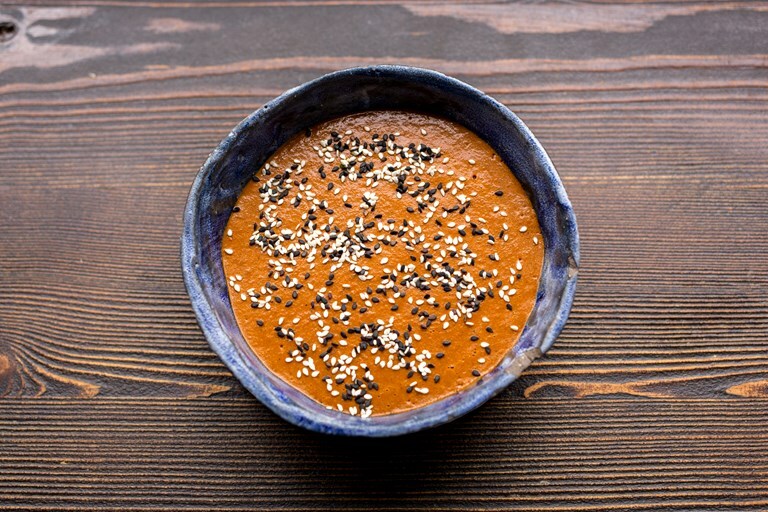 This vibrant mole rojo recipe by Nud Dudhia is a Mexican sauce, a combination of mole coloradito and roasted tomatoes, perfect for dousing over tacos, serving with steaks, or even as a dip – the sky is the limit! Make sure you use good quality tomatoes to maximise the flavour. This sauce can be made up to three days in advance, and actually takes on a better flavour if left overnight.